The market of the business is important because without them the business cannot thrive. In the first part of this talk with the Consultant who READS management, we covered a discussion about the first group of people in business – the business owners who can be a proprietor, partners or incorporators. For now, we are turning our attention to a second set of people in business – the market and customers. The market of the business is important because without them the business cannot thrive. If nobody is even interested to check your goods or know your services and ultimately no one wants to buy the product or service you want to sell, then you cannot be in business. That is very basic. It is only with a market and customers that production can turn into what the Consultant who READS management refer to as “an on going concern, and value gets commercialized and monetized“. That is, a business. Who then is the market for your business to be? That caught my attention. If their gravy has or were from pork then no Muslim would consume it. The city has a large Muslim population. They do not eat pork or anything derived from it as prescribed by their faith. Christians are just fine not to eat pork. In the absence of pork, chicken or beef would be sufficient because are consumed by both Muslims and Christians. 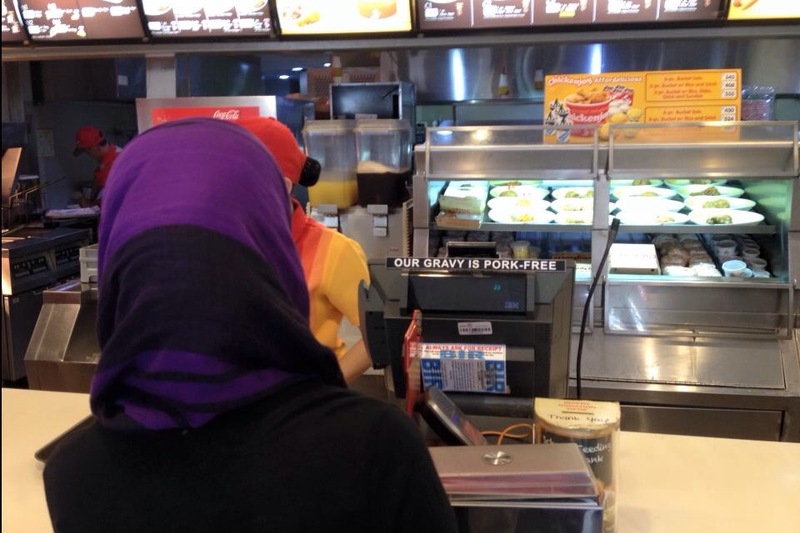 Failing to respond to the Muslim “need” or want would greatly limit the customers of the fast-food. In consideration of that they adapted to the NEWS of the market. Another concept that deserve attention is the market segment. About half of the Philippine population are women. Other than food, clothes are basic needs. Let me talk about stilettos though. Women are the ones who wear stilettos. The women therefore are the market. And yet not all women need or want stilettos though, but only those who wear dresses that fit it. Wearing jeans does not necessitate stilettos, although it can still be worn, but dresses do. And that is in lieu of sandals and other appropriate footwear. More so, not everyone of these women has the purchasing power. It is generally the ladies in the middle and upper classes who buy stilettos. They are the market while the 50 million females are just the population. Today, people are classified according to certain characteristics and they are referred to as market segments. Women of various age brackets may wear stilettos – adults aged 40-59, then 20-39 years old, and the teenagers. They are the market segments that have varying needs, expectations, wants and specifications. How exactly are customers viewed, or supposed to be viewed, as we are taught in business? The customer – is King? Clients, or customers, are the people who consume or patronize the goods or services you sell. They are regarded as the most important element of doing business. The expression, “Customer is king”, expresses this view of a particular “people” involved in the value creation process. That is in the sense that they provide the basis for the design of the value to be created. Different segments of the market provide different customers and clients. Each segment has particular NEWS that businesses have to meet and satisfy. Value is created in and for the market and this is their role in the business. In a sense, customers really command a business. Fail to meet and satisfy the need or expectations, wants and specifications of your customers and the king will quickly take you out of business. “The customer is always right” but of course there are times customers I encounter were so much pressing and irritating, that as if she/he is the only customer your shop serves. How do I handle them? If I had spoken with them 3 times in the last 15min span of time, I ignore their calls, and entertain the next customer which I pray to be more humane. It is not to say that good customers are to be treated with less care. On the contrary, they must be the most important customers and clients a business can and should have. Good customers have the most important characteristic for business survival and success. They can be crucially forgiving and can be loyal, too. No business can ever fully or totally satisfy its customers or commit no fault or mistake all the time. It is when this occurs that good and bad customers usually reveal themselves. Bad customers can be very nasty. Even with a trivial shortcoming or mistake, a bad customer can disproportionately blow up the issue and create an embarrassing scenario. Good customers can be very pleasing even in awkward or bad moments. I remember a Japanese friend who bought pipes in a store. All the pipes’ have lost threads. He did not get angry and just calmly informed the store of the problem. The items were replaced, but the replacements were still the same. He returned it to them, still very nicely, until they got for him good pipes. Who would not love a good customer? In other words, it is the people called the market, the source of the NEWS, that the business owner has the foremost relationship with. That makes the customer seen as primary and thus declared “king”. The market is the object of the business owner’s creative activity, of one’s intention “to help and serve, the one that has the needs, expectations, wants and specifications”. Here we talked about the second set of people in business – the market and customers. We differentiated the population (practically everyone) from the market (those that has interest in your goods or/and services) and customers (those who actually make purchases). Then we also covered the thought that the customer is king (in the sense that they keep you in business and they can take you out of business), good and bad customers (they both exists and be very careful in handling them) and the crucial difference between them – bad customers can break your business and good customers make your business. In the third part of this content series are the “employees“. Learn more about management and business administration, visit READS.